Should Eritrea send food aid to Ethiopia? Ethiopia is yet again facing drought and hunger. The UN says some 4.5 million Ethiopians are in need of food aid. Leaked video from affected areas show numerous dead animals lying scattered across fields in rural Afar. People there are reportedly selling everything they own, including their clothes, just to survive. Amid the suffering of these people, the TPLF regime is callously boasting to media outlets that it's economy has been growing by double-digit margins for over a decade. To add insult to injury, the regime claims its economic boom is largely being driven by its agriculture industry - the same industry that has consistently failed to feed its people time and time again. After nearly 25 years of TPLF rule, Ethiopia should have been food secure by now. Ethiopia's fertile soil could have easily made the country the breadbasket of Africa instead of the basket case it is today. But because of the regime's misguided policies, this resource rich country with its prideful people have been forced to rely on the international community's generosity to survive. With TPLF's history of downplaying hunger among its citizens, the Eritrean government should fear the worst and consider sending some of its surplus food to Ethiopia. Knowing TPLF, they will likely reject aid from Eritrea so the aid should be sent via Ethiopian rebels into affected areas to help relieve the people. This will build support and trust for the rebels, and will help expedite the demise of TPLF. If Eritrea does decide to send food aid, it wouldn't be the first time. 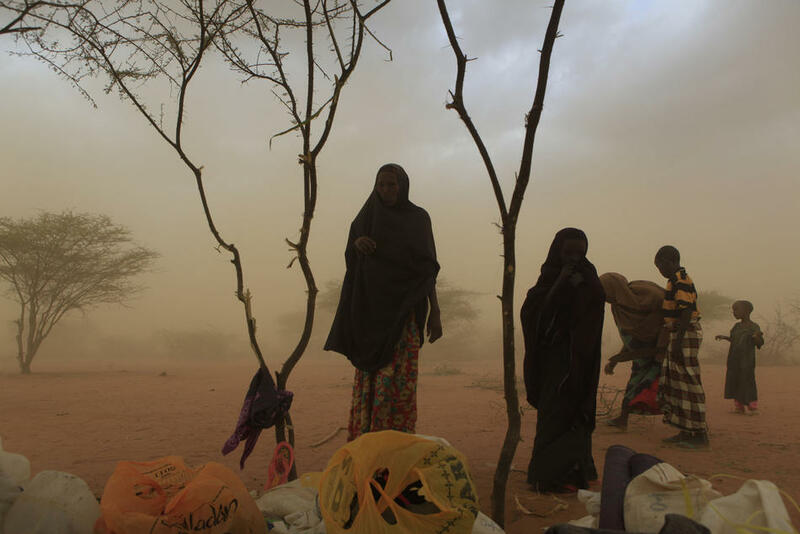 In 2011, the Horn of Africa experienced the worst drought in over a decade in which the U.N. said more than 3.2 million Somalis were on the brink of starvation. Seeing the dire situation, the Eritrean Cabinet swiftly approved and delivered food aid package to Somalis affected by drought and famine. Eritrea has always lent a helping hand to the Ethiopian people. Even now, Eritrea continues to quietly host Ethiopian refugees without the assistance of UNHCR or any international organization. It's spending its own resources on feeding, sheltering and providing healthcare to tens of thousands of Ethiopian refugees who fled TPLF's brutal repression. And unlike Eritrean migrants who use Ethiopia and Sudan as a stepping stone to get to the wealthiest European countries (a big red flag they are economic migrants), Ethiopians who enter Eritrea are genuine refugees. There is no economic incentive for them come to Eritrea. For them, Eritrea is their final destination. They trust Eritrea as the only country in the region that will protect them from the violent and brutal dictatorship in Addis Ababa. In conclusion, TPLF has shown it can not be trusted with meeting even the basic needs of its people. As such, the Eritrean government, which has a track record of assisting its neighbors, should consider sending humanitarian aid to Ethiopia before the situation deteriorates even further.